Thanks to John McKinnon there is an incredibly unique addition to the Manufacturing Error Figures section. 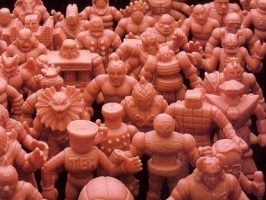 4-packs were never released with two of the same color (aside from Flesh). 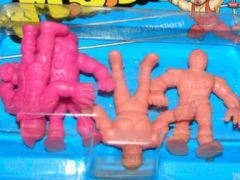 This 50/50 4-pack features two Flesh figures and two Magenta figures. This error is unique in that the figures are absolutely fine, but have been incorrectly packaged. This is only the second documented example, from a reputable source, of this error. This entry was posted on Tuesday, April 16th, 2013 and is filed under Research, UofM News. You can follow any responses to this entry through RSS 2.0. You can skip to the end and leave a response. Pinging is currently not allowed.